Irish Ferries has been voted Ireland's Best ferry company 2015 for the fifth year in succession at the Irish Travel Industry Awards held in the Mansion House, Dublin, recently. 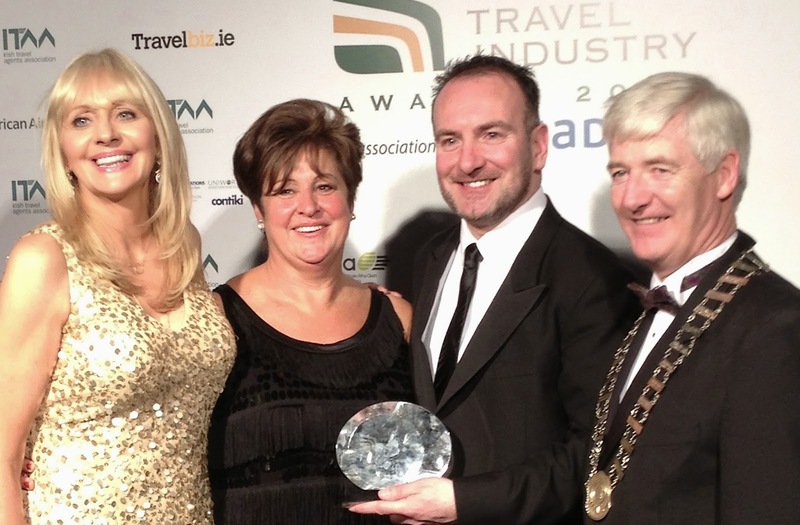 The award, an initiative of the Irish Travel Agents' Association, was bestowed on the company following a vote of Irish travel agents and suppliers. Irish Ferries' latest success follows the recent 'Best Ferry Company 2014' award which the Company received at the Irish Travel Trade News Awards in November. Pictured receiving the award from the Master of Ceremonies for the night, RTE's Miriam O'Callaghan, were Irish Ferries' Marie McCarthy and Dermot Merrigan, with Martin Skelly, President Irish Travel Agents' Association.